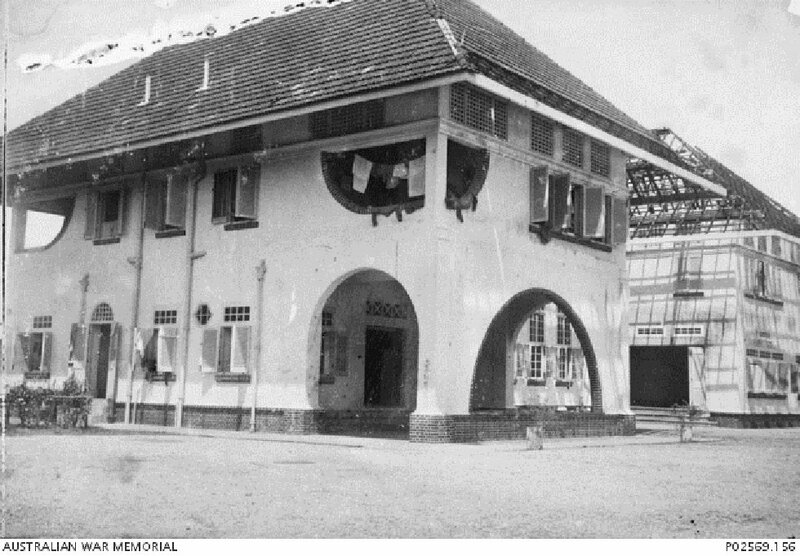 A bomb damaged civilian house at Mount Pleasant, Singapore. A secret radio, operated by Australian POWs, was hidden in the water storage tank in the roof of this house. Image taken 1942-1943, courtesy of George Aspinall, Australian War Memorial. The defendants were, in the service of the Japanese occupying power, involved in the investigation of alleged spy activities. 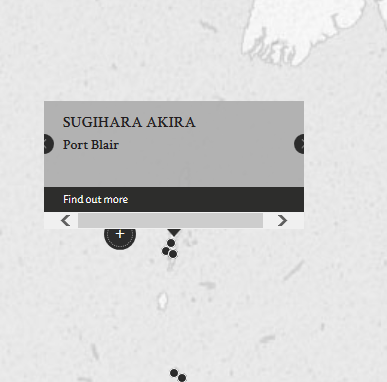 In the course of these investigations, Sugihara was in charge of interrogating the civilians at the jail in Port Blair, whereas Mikami acted as his interpreter. The civilians were allegedly beaten and tortured to elicit false confessions and implicate others. The defendants were charged with a war crime in that they were involved in the ill-treatment of these civilians, resulting in the physical suffering of some and deaths of others. Following the war crimes court's troubles locating a venue, this trial was held in a tent temporarily pitched in the grounds of the Goodwood Park Hotel. Sugihara, Akira. Lieutenant. From Japanese military. From Japan. Guilty. Life imprisonment. Sentence confirmed. Mikami, Yoshihara. Interpreter. Civilian. From Japan. Guilty. 7 years' imprisonment. Sentence confirmed. Hebden, E.M. Major. From British military. Marseille, R.K.G. Captain. From British military. Reichenbaum, E. Captain. From British military.